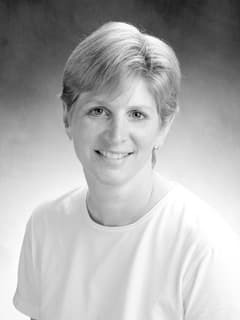 Jodi A. Mindell, PhD, is a psychologist in the Department of Child and Adolescent Psychiatry and Behavioral Sciences and the Division of Pulmonary Medicine, as well as the associate director of the Sleep Center at CHOP. Mindell JA, Sadeh A, Kwon R, Goh DY. Relationship between child and maternal sleep: A developmental and cross-cultural comparison in young children. J Pediatr Psychol. 2015 Aug;40(7):689-96. Mindell JA, Leichman ES, Puzino K, Walters R, Bhullar B. Parental concerns about infant and toddler sleep assessed by a mobile app. Behav Sleep Med. 2015;13(5):359-74. Meltzer LJ and Mindell, JA. Systematic review and meta-analysis of behavioral interventions for pediatric insomnia. J Pediatr Psychol. 2014 Sep;39(8):932-48.